Here at the Peaks of Health our goal is to get you to reach your peak - this includes making sure your body is running at optimal efficiency. ­We address diet and nutrition, which is essential to get the key ingredients our bodies need to function. ­Hormones are the signals that tell our body how to function. ­This is sort of the recipe of life - without the key ingredients and the proper recipe you cannot have a good outcome. ­We also address the intestinal system and look for proper digestion; without this you would not absorb any of the key nutrients necessary for a healthy lifestyle. ­Since the body does not function with one part at a time, we need to look at the entire system and all of the different connections to unravel the problems and discover what part or parts are no longer functioning properly. 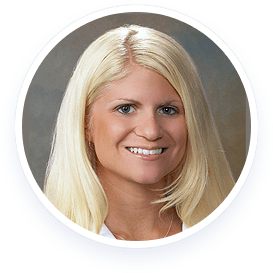 Dr. Tracie Leonhardt grew up as a member of the Tampa Bay community. 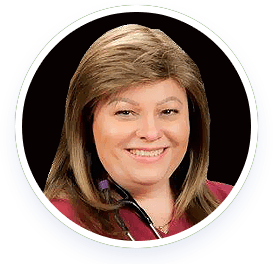 She graduated from Southeastern University (now known as Nova University) in 1992, completed her internship at Suncoast Hospital in Largo, and, completed her Residency in Emergency Medicine at Midwestern University in Chicago, Illinois in 1996. Dr Leonhardt then began her 14 year tenure as a Board Certified ER physician. Experiencing her own health struggles, she learned she had Type II Diabetes in 2003. Dr. Leonhardt made it a mission to seek out the most up to date information on treatment. Despite optimal medical treatment, her disease continued to worsen and soon she was on seven different medications to try to control the disease. This mission led her to study the metabolic and hormone systems, and she not only reversed her diabetes, but she completed an advanced fellowship in Anti-Aging and Regenerative Medicine. She is currently pursuing a masters in Metabolism and Nutrition at the University Of South Florida School Of Medicine. All of this led her to practicing Integrative Medicine, which is a practice that uses science based, evidence based medicine and focuses on the whole person, and makes use of all appropriate therapeutic approaches to achieve optimal health and healing. She is an expert in the area of hormones, including thyroid, and in the treatment of diabetes. Her practice, Peaks of Health Metabolic Medical Center, also treats fungus, mold, Lyme, and auto immune diseases among many other conditions. A much sought after teacher and speaker, she is on teaching staff at two hospitals and is a preceptor instructor for Lecom Medical School. Dr. Leonhardt recently was invited to speak to a congress in Noordwijk Netherlands. Her topic was Lyme Disease and Alternative Treatments, and European physicians were excited to learn how Dr. Leonhardt has experienced successes in treating Lyme Disease. Dr. Leonhardt writes articles for several magazines, and her article, Lyme and 'Lyme-like Disease: The New Epidemic' was published in the Townsend Newsletter, July 2016. Dr. Leonhardt has also published articles on Traumatic Brain Injury, for which she has received advanced training. She has authored many articles on Thyroid, Hormones, and Diabetes. She has also had the privilege of appearing on TV shows including Daytime, Consumer Updates, Tampa Bay Morning Blend, and was the Health Expert on Tampa NBC affiliate, News Channel 8. She has weekly radio shows in several markets on which she has a variety of guests, including Dr. Oz and Suzanne Somers. Her clinic sees patients from various parts of the globe. Her mission is this to combine the best of traditional medicine with functional medicine in order to give our patients the best service and outcomes utilizing evidence based medical practices. Dr. Jeanne Bangtson was born in a small town in Illinois and grew up in Wisconsin. You can feel her small-town upbringing in her caring and extensive office visits and follow ups. Dr. Bangtson is a graduate of National College in Chicago, Ill., receiving her Doctor of Chiropractic degree. 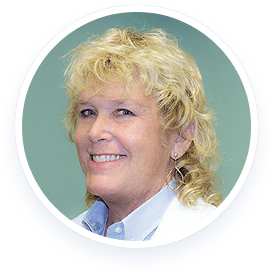 Dr. Bangtson received her Certification in Functional Diagnostic Medicine from the Institute of Functional Medicine in 1994. She is board-eligible for her Diplomate in Orthopedics and has studied extensively in Sports Medicine. Dr. Bangtson is also a Diplomate of Ayurveda which is an ancient healing philosophy that all medicine originated. Dr. Bangtson's clinical practice covers nearly 40 years. For 15 years, Dr. Bangtson focused on sports medicine, treating LPGA tour players, St. Louis Cardinal players and members of the Tampa Bay Lightning. She was also a physician for Olympic Volleyball team, the Beach Volleyball Olympic trials and the Olympic Greco Roman wrestling team. She owned and operated the first and largest integrative practice in Florida. Dr. Bangtson is considered an expert on the multi-disciplinary treatment of chronic pain and inflammation, and many chronic illnesses and diseases that a singular/allopathic approach often fails to resolve, such as Lyme disease, conditions from mold, fibromyalgia and chronic autoimmune diseases. Always searching for new avenues and cutting-edge treatments, Dr. Bangtson consults with doctors throughout the world. She is also extensively trained in DNA evaluation, which impacts overall health and chronic illness. She is a graduate of Harvard Mind Body Institute's "Healing and Spirituality" under the direction of Herbert Benson, M.D., a pioneer in the field. This informs her holistic approach using the true Health Triangle, which addresses chemical, physical/structural and mind body medicine with the addition of the new field of epigenetics. She lectures on the genetic, nutritional and systems biology considerations that affect health. She is currently coauthoring a book with Dr. Kevin Soden on integrative health and spirituality. Dr. Bangtson retired early but in 2015 was convinced by Dr. Leonhardt, her physician, to join Peaks of Health Metabolic Center. Peaks embodies all of Dr. Bangtson's previous years of integrative healing and more as it continues to grow, making it an easy decision. Dr. Miranda Giusti earned her medical degree from Lake Erie College of Osteopathic Medicine in Bradenton, Florida after obtaining her bachelors in Biology from the State University of New York at Geneseo. Upon completing her Internal Medicine Residency at Largo Medical Center, she is currently enrolled at the University of Arizona's fellowship program in Integrative Medicine. As an officer of the Young Physicians Organization for Pinellas County Osteopathic Medical Society (PCOMS), she leads 14 medical students each year on a medical mission trip to Jamaica aiding the rural community of Treasure Beach. Educating her patients on the importance of a healthy lifestyle centered around exercise, nutrition, and stress reduction, is a passion Dr. Giusti pursues with all her patients. When not at work she enjoys dancing, running, paddle boarding, weight training, physique competitions, and traveling the world to experience various cultures. 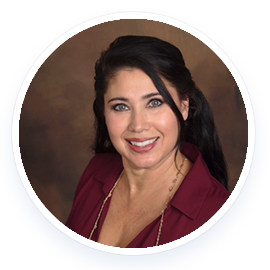 Dr. Liana Kramer has been treating patients in the Tampa Bay area for 20 years. A graduate of The Florida Institute of Traditional Chinese Medicine in 1996, she has a Master's degree in Oriental Medicine and Acupuncture. She did her internship with Dr.Dao Feng Li in Orlando, where together they treated many patients suffering with cancer and stroke complications. She then partnered with chiropractic and Neurologist clinics in the bay area, treating personal injury, pain, and addictions. Finally, she focused her career on the digestive system. Knowing that the digestive system is the "second brain", many aliments can be resolved by putting the digestive system back into balance. Through acupuncture, Chinese Medicine, and diet/lifestyle counseling, Liana Kramer has helped numerous patients achieve great health. She is certified in acupuncture, Chinese herbology, Tui Na (acupressure),Nutritional Blood Analysis, and Functional Endocrinology (hormones). Jaime Applefield, P.A. has an undergraduate degree from UF and her Masters of Physician Assistant Studies from Thomas Jefferson University in Philadelphia. Jaime brings to us a background in orthopedic and sports medicine, and both a knowledge of and a passion for Functional Medicine. As a Physician Assistant, she will help with our urgent care visits, procedures, injections, and aesthetics.